Cats have long been associated with Halloween. Many Halloween decorations feature a black cat, all puffed up and ready to fight. But how did cats come to be associated with this fall holiday? The answer might surprise you! The cat’s association with Halloween may date all the way back to the ancient Egyptians. Egyptians revered cats, keeping them in a sanctuary where they were watched by priests who interpreted their every movement as a prophecy. Egyptians also had a cat-headed goddess named Bastet (also called Bast.) The goddess and her temple cats were associated with nighttime. Bast was thought to have a nightly battle with the Serpent of Darkness, the sun’s enemy. 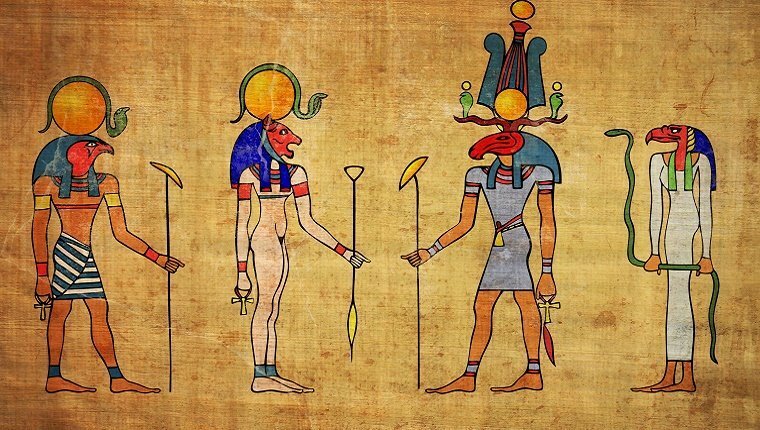 Every day when the sun rose, it symbolized that Bast had won. The Egyptians’ association of cats and nighttime might have bled into our current association with cats and Halloween night. 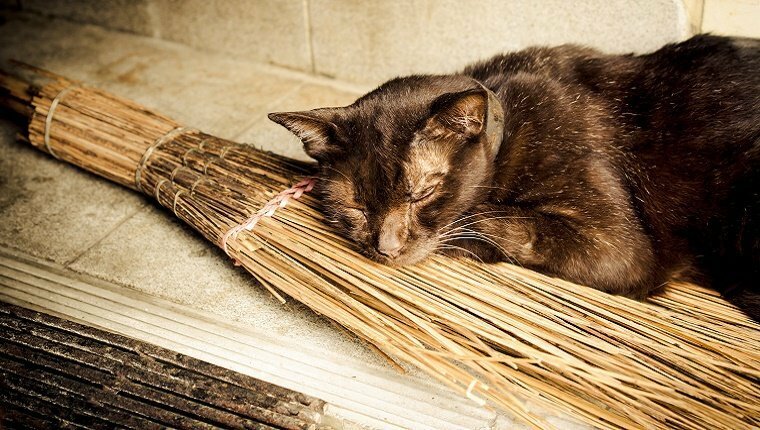 In more modern mythology, cats were also thought of as witch’s familiars–demonic assistants who help witches. 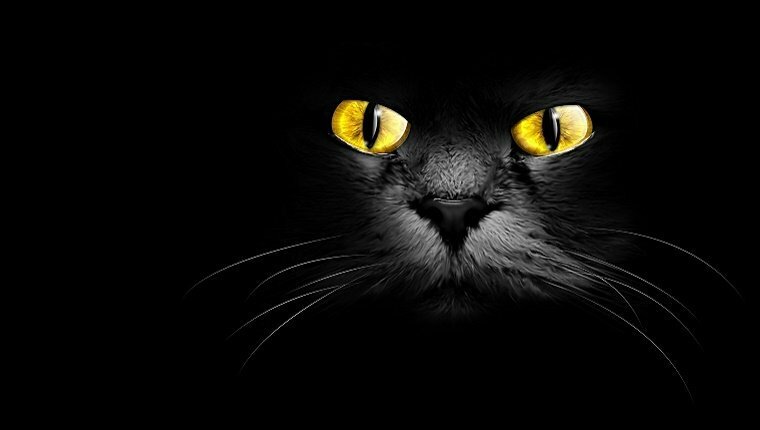 It was also believed that witches could shape-shift into black cats to escape detection. As the image of a witch came to be linked with Halloween, her “familiar”–a black cat–also grew in association. The most direct connection between cats and Halloween came from the idea of Cat Sìths and the Samhain holiday. Cat Sìths are fairy creatures in Celtic myth that look like large black cats with a white spot on their chests. According to legend, they haunt the Scottish highlands and sometimes steal souls. The Samhain is a Gaelic festival that takes place between sunset on October 31 and sunset on November 1. It marks the end of harvest season and the beginning of winter. According to mythology, a Cat Sìth will bless any house that leaves out a saucer of milk on the Samhain. However, houses that don’t will be cursed. Over time the Samhain holiday merged with All Saints’ Day to create what we now celebrate as Halloween. The association of cats with the Samhain likely also carried over into Halloween. It’s important to note that, because of the mythology of cats and their association with Halloween, many cats–particularly black cats–may be in danger on Halloween night. Unfortunately, black cats are sometimes targeted for abuse if they’re caught. Click here and read this CatTime article for more information on how to keep your cats safe on Halloween. Do you think of black cats during Halloween? Do you think the stereotypes about them being cursed or bad luck are unfair? Let us know in the comments below!